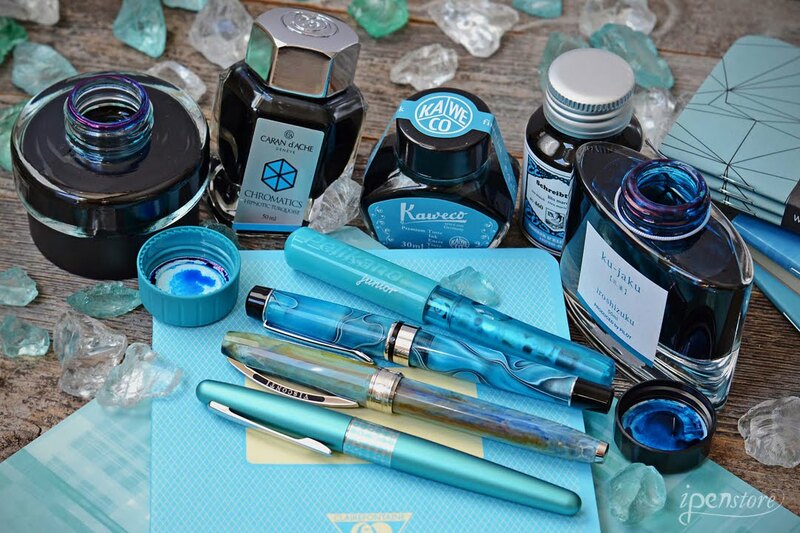 A photo of the Caribbean Sea? 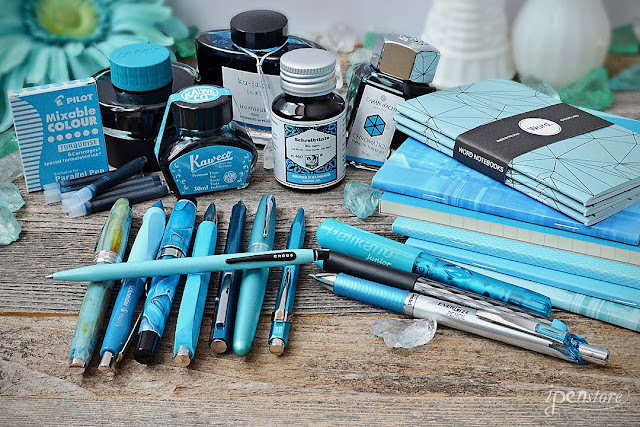 Nope, it's Torch Lake in Michigan! Many people think of the crystal clear colors of the Caribbean when they see the color turquoise, but did you know we have our own Caribbean blue lakes here in Michigan? 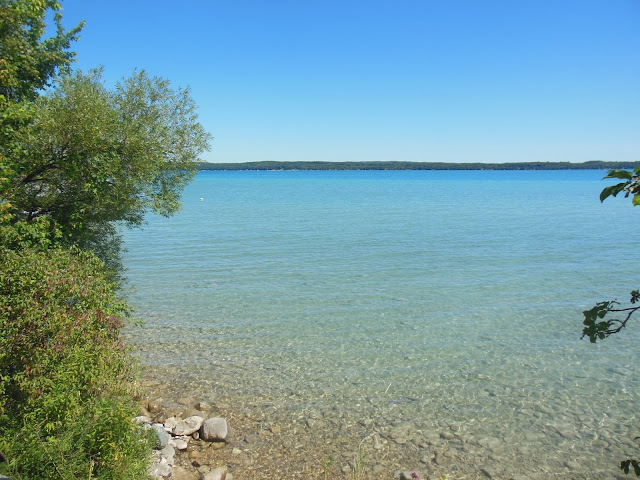 Beautiful Torch Lake's waters are unusually clear and exhibit a bright turquoise hue. We picked turquoise for our summer color because it's been SO hot and dry here (very un-Michigan like) and the color really has a beautiful cool -clear- water- summer feel to it! 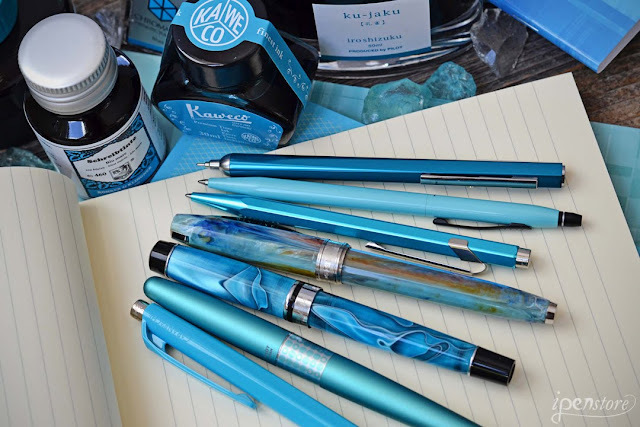 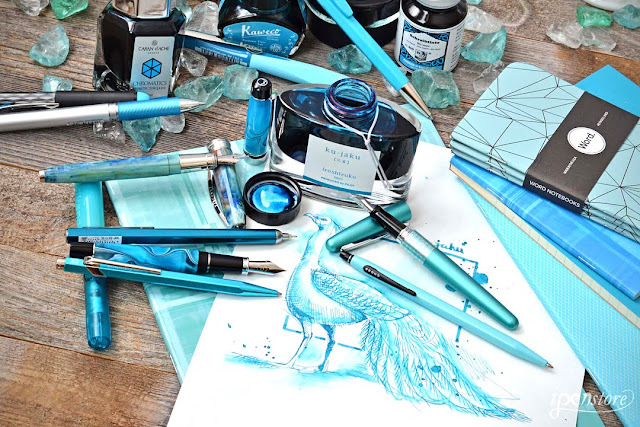 We gathered our favorite turquoise pens, paper, and inks and created a turquoise montage for you to enjoy!